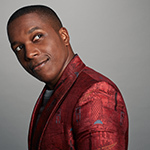 A Legendary Evening with Leslie Odom Jr.
Join Maestro Marcelo Bussiki and the BVSO for this unforgettable finale to the 37th Season! 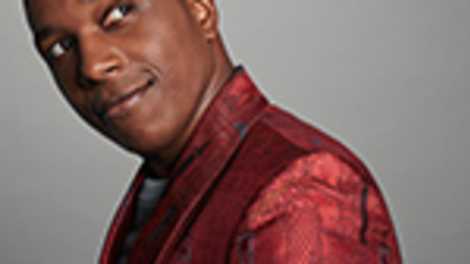 Special guest Leslie Odom, Jr. took Broadway by storm when he originated the role of Aaron Burr in the blockbuster musical Hamilton and won the 2016 Tony Award for Best Leading Actor in a Musical. His impressive career has spanned television, film and theatre. After making his Broadway debut at 17 in Rent, the acclaimed star of stage and screen has gone on to be featured in television’s Smash, The Good Wife, and Grey's Anatomy and most recently he played the role of Dr. Arbuthnot in Kenneth Branagh's 2017 film adaptation of Murder on The Orient Express. In 2018, he even sang “America the Beautiful” on the NBC Broadcast of Super Bowl LII. Now, he joins the BVSO for what is sure to be a legendary evening of music!